As the oldest son of the late Dr. Martin Luther King, Jr. and Mrs. Coretta Scott King, Martin Luther King III is carrying the torch lit by both of his parents into the 21st century. 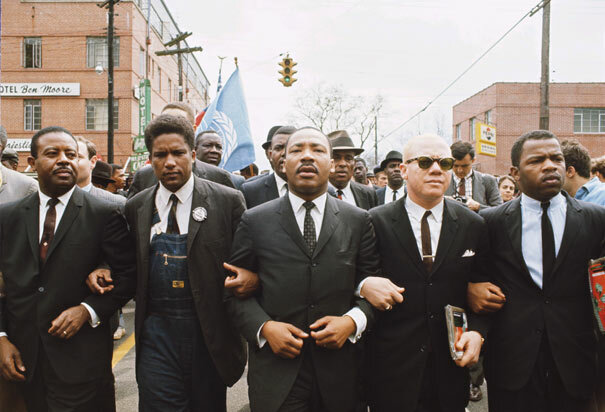 Martin's dedication to creating and implementing strategic nonviolent action to rid the world of social, political, and economic injustice has propelled him to the forefront as one of the nation's most ardent advocates for the poor, the oppressed, and the disillusioned. A graduate of his father’s Alma mater, Morehouse College (B.A. in political science 1979), Mr. King was elected to political office in 1986 as an at-large representative of over 700,000 residents of Fulton County, Georgia. As a member of the Board of Commissioners, he was instrumental in securing strong ethics legislation, purification of the county’s natural water resources, legislation regulating minority business participation in public contracting, and stringent hazardous waste disposal requirements. Mr. King is committed to the personal and educational development of youth and has initiated several programs throughout the years to support and nurture young people. Among them are the King Summer Intern Program designed to provide employment opportunities for high school students; Hoops for Health – a charity basketball game held to increase public awareness of newborns suffering the effects of substance abuse; and A Call to Manhood – an annual event designed to unite young African American males with positive adult role models. One of Mr. King’s ongoing collaborations is with the annual Kindness and Justice Challenge sponsored by Do Something, Inc.
Utilizing the principles of Kingian nonviolence, Mr. King quietly exercised negotiation and persuasion to reach a compromise between Georgia legislators and leaders to change the state flag that was an offensive and divisive symbol for many Georgians. In 1985, he was arrested at the South African embassy in Washington, D.C. as part of a civil disobedience protest against apartheid and for the release of freedom fighter Nelson Mandela. Throughout the 1990's Mr. King continued the fight for justice by addressing the moral and political dilemmas of Haiti, Nigeria, Australia, and Sierra Leone. He has led protests against the biased digital divide in the field of technology and has spoken to the United Nations on behalf of individuals living with the challenges of AIDS. In 1998 Mr. King began his tenure as President of the Southern Christian Leadership Conference where he aggressively fought injustice on many fronts. SCLC convened police brutality and racial profiling hearings in several states that led to the passage of anti-racial profiling resolutions. The Stop the Killing-End the Violence campaign was the anchor for the successful Gun Buy-Back program that collected over 10,000 weapons across the United States. In 2003, Mr. King co-sponsored the 40th Anniversary of the historic March On Washington with human rights organizations from across the country. and programs in Bosnia Herzegovina, India, Israel & Palestine, Kenya, Sri Lanka and the United States. Through a mix of nonviolence conferences and youth development programming, Realizing the Dream sought to bring Dr. King’s message to a new generation with Mr. King leading the way. Mr. King spoke on behalf of the 2008 Democratic Party presidential nominee, Senator Barack Obama, at the Democratic National Convention on August 28, 2008. The event marked the 45th anniversary of the "I Have a Dream" speech. King said his father would be "proud of Barack Obama, proud of the party that nominated him, and proud of the America that will elect him." But he also warned that his father's dream would not be completely fulfilled even if Obama wins the presidency. King said the country was suffering from a poor health care system, education system, housing market and justice system and that "we all have to roll up our sleeves and work to ensure that the dream that he shared can be fulfilled.” On January 19, 2009, the Martin Luther King, Jr. national holiday, King joined with President Obama in painting and refurbishing the Sasha Bruce Youth work shelter for homeless teens in Northeast Washington to help encourage the nation-wide day of community service on the King holiday. On the 19th of September in 2010 Mr. King received one of India's most prestigious honors, the Ramakrishna Bajaj Memorial Global Award for outstanding contributions to the promotion of human rights at the 26th Anniversary Global Awards of the Priyadarshni Academy in Mumbai, India. On the 43rd anniversary of the assassination of his father (April 4, 2011), Mr. King helped to lead nation-wide demonstrations against initiatives to eliminate and undermine collective bargaining rights of public workers in Wisconsin and other states. King led a mass march in Atlanta and spoke to a crowd of supporters at the Georgia state capitol, urging them to "defend the collective bargaining rights of teachers, bus drivers, police, firefighters and other public service workers, who educate, protect and serve our children and families." In conjunction with Ambassador Andrew Young and other partners, Mr. King co-founded Bounce TV - the first-ever independently owned and operated TV network featuring African-Americans. Bounce TV targets audiences 25 years of age and older, and the network’s content included a mix of movies, sports, documentaries and original programming that will broadcast to viewers who don’t have cable television in major cities across America. As a commemorative of the 44th anniversary of the assassination of Dr. King, Martin Luther King III re-purposed this day as one highlighting youth violence prevention as a public health issue. 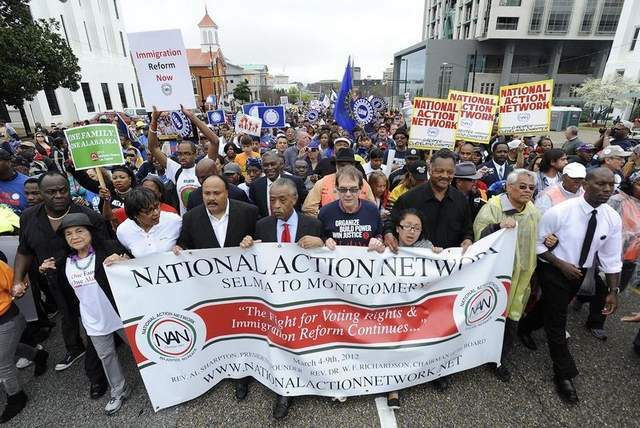 The April 4th Revisited: Saving Lives, Building Dreams was an initiative launched in collaboration with the CDC-funded Prevention Institute as a call-to-action to mark this as a day for building momentum for non-violence and peaceful communities nationwide. Throughout his life, Martin Luther King, III has worked with individuals deeply committed to the struggle for human rights and a nonviolent society. He is the recipient of numerous awards and several honorary degrees. In addition to being the former President and Chief Executive Officer of The Martin Luther King, Jr. Center in Atlanta; Mr. King is the husband of Arndrea Waters King and father of a young daughter, Yolanda Renee King (b. 2008). He is both humbled and honored to serve as an ambassador of his parent’s legacy of nonviolent social change. 1 - The Autobiography of Martin Luther King, Jr.
www.mlkiii.org is a participant in the Amazon Services LLC Associates Program, an affiliate advertising program designed to provide a means for sites to earn advertising fees by advertising and linking to Amazon.com.